Selva Rasalingam plays ‘King Menehptre’ in the anticipated film ‘The Mummy’, set for release next year starring Tom Cruise, Russell Crowe and Sophia Boutella. 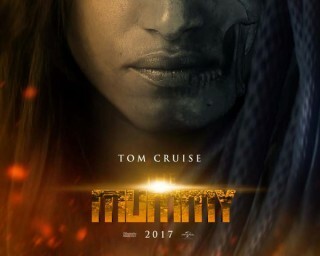 It is a reboot of ‘The Mummy’ franchise and the first installment in the Universal Monsters Cinematic Universe. Believed to be safely entombed in a crypt deep beneath the unforgiving desert, an ancient queen (Sofia Boutella), whose destiny was unjustly taken from her, is awakened in our current day, bringing malevolence with her that has grown over millennia. To watch the offical trailer click here! Selva’s career is long and varied, he has appeared in the BBC’s ‘The Missing’, ‘Luther’, ‘Skyfall’ and he also play’s Jesus in ‘The Gospel of John’. British and American, Asian and Arabic accents!